Everyone knows that school boards face big challenges. So what is your district’s most pressing issue? Is it teacher retention? Is it increasing standardized test scores? Is it reducing classroom size? Is it getting more technology in the classroom? Improving parent involvement? What about creating more STEM activities and opportunities for students? Is your district concerned about funding? Chances are, your school district is dealing with those challenges—and potentially much more. Leading a school district in today’s world is not an easy task. Limited time and funds compete with almost limitless demands. That’s why creating a high-performing district requires talented staff and dedicated school board members. Luckily, you have a talented staff and board members who are passionate about your learning community. Now you need to get them all in a room together to discuss the future of the district and the kids you serve. However, bringing your district leadership into the same room to talk about your district’s future isn’t enough. Your school district needs a strategic plan. That’s why BoardPaq has developed the first collaborative strategic planning tool designed to help engage your district&apos;s leadership team in developing high-impact strategies that get your learning community to the next level. This exciting new feature allows your board members to collaborate in a simple, easy, inexpensive manner. You don’t need an expensive strategic planning facilitator or a weeklong retreat. 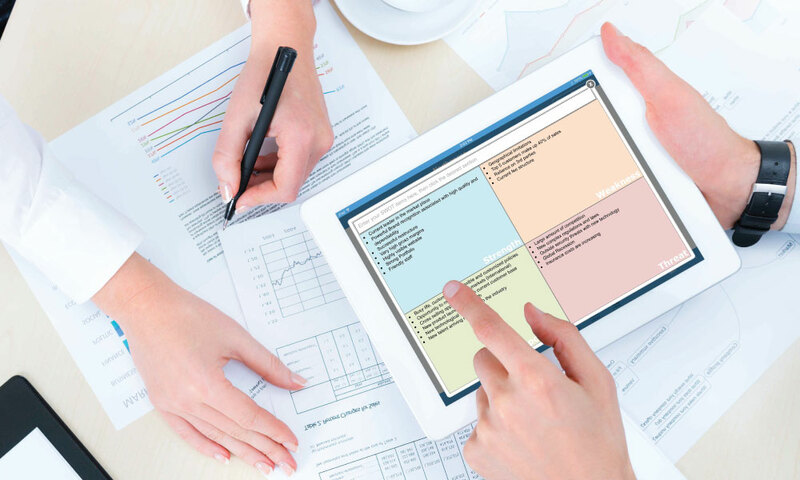 Your board and staff can sit in a room and use BoardPaq and collaboratively identify your district’s most important strengths, weaknesses, opportunities, and threats using our easy-to-use SWOT tool. Be the next of a growing number of school districts that are using BoardPaq to not just conduct paperless board and committee meetings, but also to engage in a collaborative SWOT analysis that will put their district ahead of the curve. Interested in learning more? Schedule a demo today!